Your Android phone is a powerful computer. But like any other computer, it won't run at its best without proper care and maintenance. If you've ever owned an Android phone, you probably noticed that it became slower after a few months of use than it was when you first brought it home from the store. There are several reasons for this phenomenon, and in this article I'll explain how to get your Android smartphone back into tip-top shape. You can accomplish a lot of what I'll be recommending here by performing a simple factory reset; but if you take that approach, you'll lose your data and have to reconfigure your phone. So instead, grab your Android phone and follow these steps to get it running like new again. 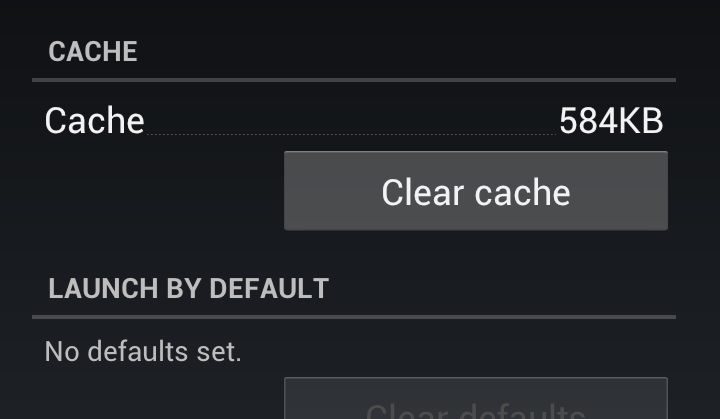 Android phone maintenance: Clearing the cache. Have an app that's always crashing? Rather than force-closing or uninstalling it, try clearing its cache. This simple step will help resolve most of the issues that troublesome apps may be experiencing--and it won't create new problems, as forcing the app to shut down might. To clear an application's cache, open the Settings menu on your phone and click Applications. Then select Manage Applications and tap the app that's been having problems. Don't worry--all of your data and settings will remain intact; you're just getting rid of temporary files that may be causing difficulties. 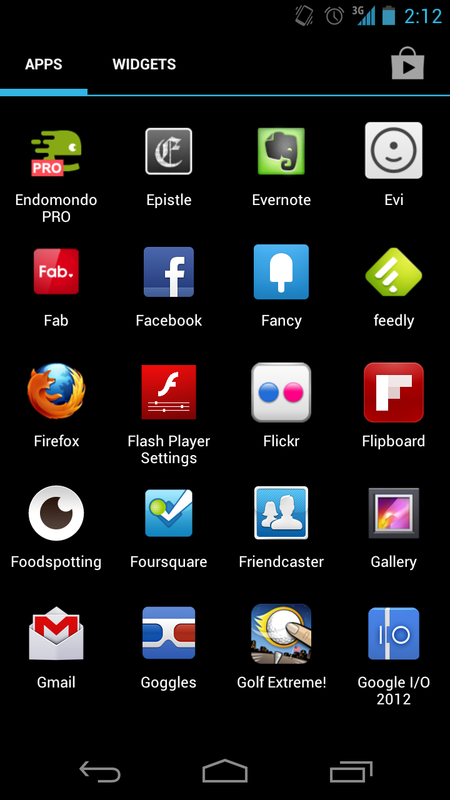 Check your app drawer for apps you don't use or need. Even though it's my job to love apps (and I do love them), improperly written ones can cause all sorts of trouble for your Android phone. Built-in problems can range from storing critical data as a plain-text file in your memory card to sullying your notification bar with constant updates that can't be disabled. Consider the official Facebook app: Opening it automatically turns on your GPS, in case you want to upload a photo or create a status update that shares your current location. That's fine and dandy, except that the app periodically forgets to turn off your phone's GPS once it's done using it, wasting precious battery power and leaving you scrambling for the nearest outlet. Even apps you aren't intentionally using may be running processes in the background that waste resources for no good reason. Unfortunately, task killers are generally ineffective at combating this problem, so your only practical option is to open your app drawer and uninstall apps that you don't regularly use. Doing so will open up space on your phone for more music, videos, and pictures, and it will help reduce the number of apps that are running in the background. Cleaning out your SD Card may not boost your phone's performance, but it makes sense to remove any old or unused files that are just taking up space on the card. To identify the biggest hogs on your memory card, I recommend installing DiskUsage. This app shows you which files on your phone are taking up the most room, though you'll have to plug your phone into a computer or use a file browsing app (such as Astro) to delete the unneeded files. 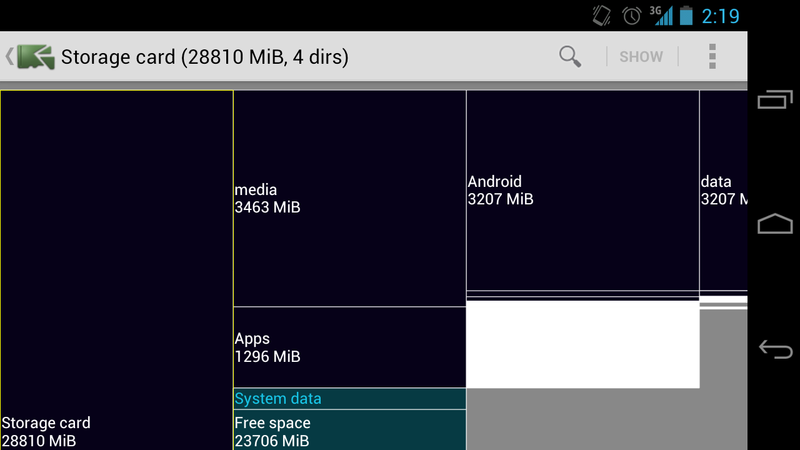 DiskUsage shows you what's on your SD Card. You should do this whenever you uninstall applications, largely because some apps leave folders of data behind when they're uninstalled. If your phone is rooted, you can download the SD Maid app to automatically clear out old junk files. SD Maid also lets you freeze or remove any bloatware that came preinstalled on your smartphone--so you can finally get rid of the annoying Blockbuster app that continually asks you for updates. If you don't mind voiding your warranty, rooting can breathe new life into an ancient Android phone. We've described how to root your Android phone countless times in the past, so you can refer to one of those guides when you're ready to walk through the actual process. A rooted phone gives you complete control over your Android device: You can remove unwanted bloatware, install root-only applications, and even load custom ROMs that change the look and feel of Android on your phone. Rooting isn't without its hazards, however, and a serious mistake can render your phone unusable. In my opinion, though, the benefits are worth the risks, especially if you have an older Android phone; it's definitely an option you should consider if you aren't satisfied with your current Android situation.